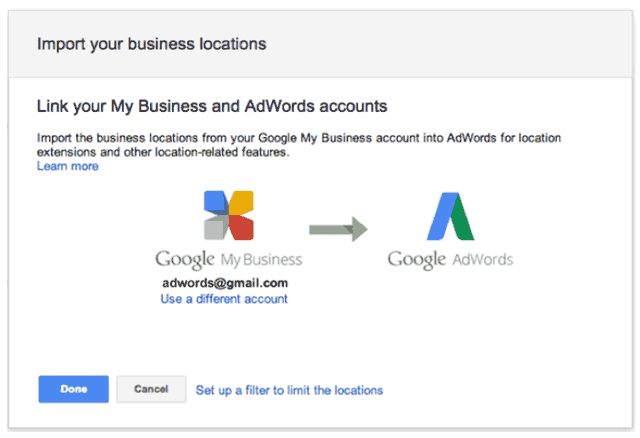 Google announced they want you to link your new Google My Business account, formerly Google Places, with your Google AdWords account. This is the new and "upgraded location extensions" that should offer you a "a better way to display your business locations in every ad," said Google. 1) Create your Google My Business account and add your business locations over here. (2) Link your Google My Business account to AdWords. Linking your accounts in one easy step allows your business info to appear with your ads. All campaigns will have location extensions automatically enabled when you link your accounts. You’ll also be able to customize your upgraded location extensions for different devices. Learn more over here. Google said they will continue to "improve account location extensions with the goal of upgrading all AdWords accounts over the next few months."